hydrogen economy goes back to 1912, to the famous paper of Giacomo Ciamician entitled ‘‘The Photochemistry of the Future’’34 (Figure 4.30). This paper emphasized the need for an energy transition from fossil to solar fuels and foresaw that ‘‘our black and nervous civilization, based on coal’’, would be followed by ‘‘a quieter civilization based on the utilization of solar energy’’. Two billion chargers are sold each year through the mobile phone charger market. The travel charger sub-segment is the fastest grow­ing charger segment, with an estimated market value of more than €11 billion. A number of new fuel cell companies using hydrogen fueled fuel cells are now actively trying to establish sales in this market. 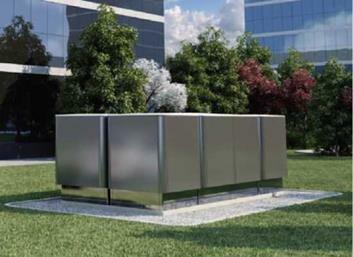 Singapore-based Horizon Fuel Cell Technologies28 is a fuel cell manufacturer that offers a wide range (10 W to 5kW) of standard PEM fuel cell systems, as well as customized fuel cell system configurations up to 30kW. first hydrogen power combined cycle plant near Venice (Figure 4.15). Hydrogen is supplied using specially built pipelines from the nearby Polimeri Europa petrochemical plant, where ethylene-cracking is carried out. Hydrogen Motoring: A Dream Never Coming True? Having soared on the promise of carbon-free motoring, the idea of the ‘hydrogen economy’ crashed and burned when it collided with reality. Invented in 1839, the hydrogen fuel cell has been employed widely since the early 1960s in space probes to generate onboard electricity, water and heat. Indeed, in the fuel cell the controlled reaction of hydrogen with oxygen yields electricity, heat, and water, directly converting into elec­trical energy the chemical energy of the bound H2 molecule. In most fuel cells developed thus far the H2 dissociation reaction is usually catalyzed by platinum at the anode’s surface and takes place at a temperature of approximately 80 °C (Figure 4.1). According to the US National Academy of Engineering, the electric grid was the most significant engineering achievement of the 20th century.38 The interconnected series of transmission wires, metal towers, voltage converting substations and their associated control structure that make up the electric grid is of course existing infrastructure of immense value (Figure 3.26). It will be used increasingly in the solar hydrogen economy, in which a continuous source of power – solar hydrogen accumulated during the day – will be burned (or oxidized in fuel cells) to meet cus­tomers’ demands and provide power at night and on cloudy days, as well as when demand peaks.